We spent the week before Paris in Geneva. I had to work during the week (Monday thru Thursday) so Anjali explored (probably more so than in my numerous trips in the past). Anyway, here are a few of the local sights. 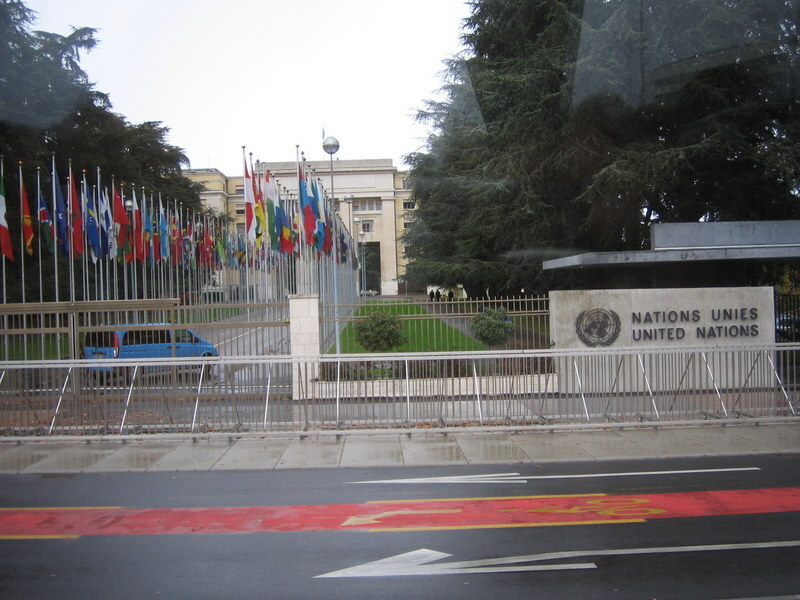 The United Nations is on the outskirts of town. There were many dignitaries and events related to the UN. Here is Lake Geneva with the the local Starbucks (the one with the green awning on the far right). It looks just like any other, except that a latte there will cost you over $6! 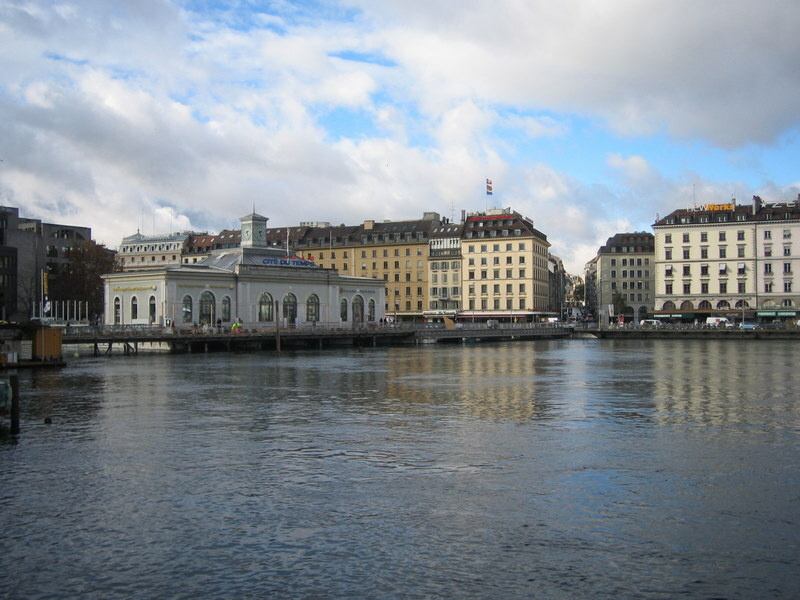 Our Hotel Angleterre is right on the lake and close to all the restaurants and shopping. 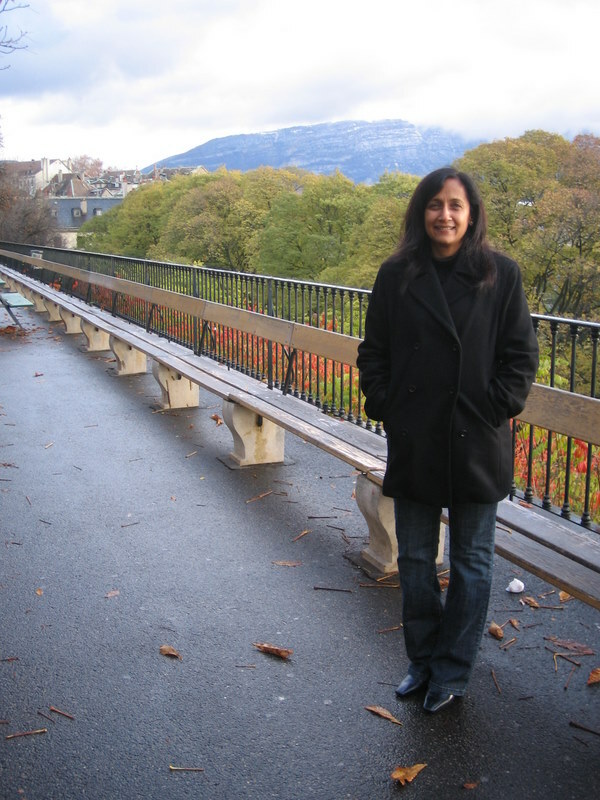 Here is Anjali at the “longest bench in the world” in the Old Town at the top of Geneva. The bench at the Promenade de la Treille measures 126 meters long! Well that is it! This was the last episode of our mini-vacation. Hope you enjoyed it as much as we did. Many thanks to Mom and Dad for watching the kids while we were gone. It sounds like they had their own adventures.